There is a NEW $3 off Borden Cheese Printable Coupon that just popped up today. This one will go QUICK. Its RARE to find dairy coupons. Can't wait to put this one into ACTION at Walmart. 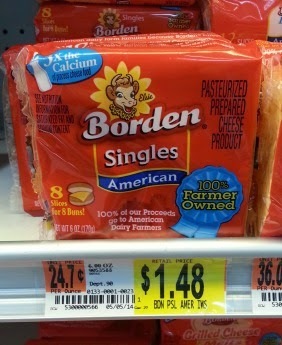 Buy 3 packages of Borden Cheese, use the $3 off Borden Cheese Printable Coupon and score packs for ONLY $.48 each.